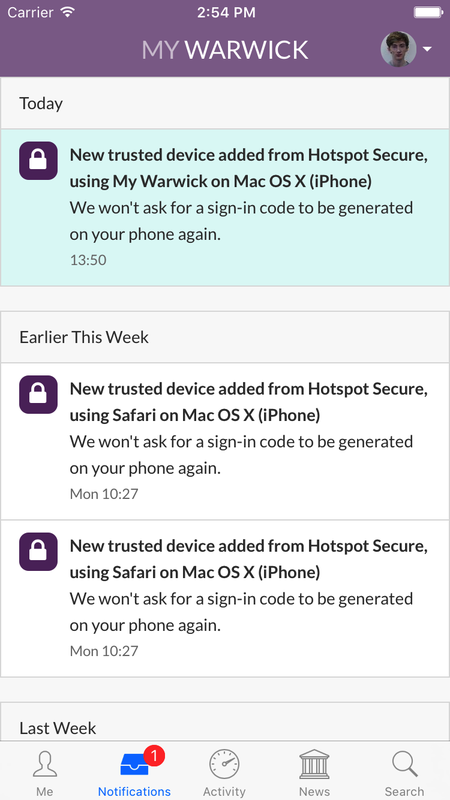 The Warwick mobile app is called My Warwick. It's available on iPhone and Android phones (and tablets) as well as on the desktop. 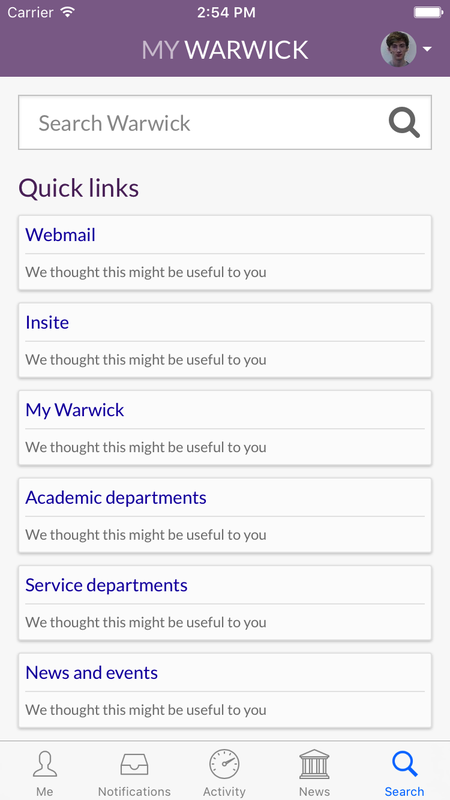 My Warwick brings together information about many aspects of student life at Warwick, pulling data out of the systems used for timetabling, coursework, learning content, news and events, etc, and putting everything you need to know into a single place. 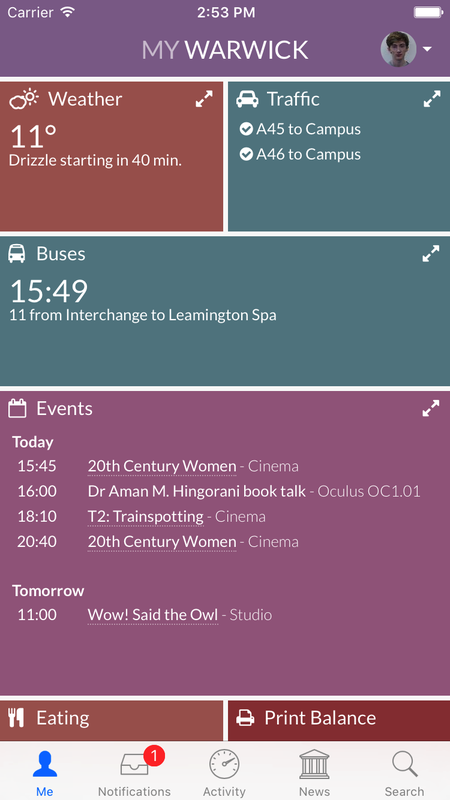 It can be used to view your teaching timetable, keep on top of your coursework deadlines, check your emails and calendar, get bus times and traffic alerts, see a weather forecast, and more. My Warwick sends you alerts when something needs your attention. You'll get an alert when an assignment deadline is approaching, a library book is due back soon, and so on. Your department can send you alerts if a lecture is moved or cancelled. And every time you receive an alert, you can choose whether you want more alerts like that in future. So you're always in control of what's sent to you.